*This sections details how the reports can be printed to verify the reconciled and un-reconciled data. Go to the project and management accounting > Project+ Inquiries and reports > Subcontractor reconciliation. 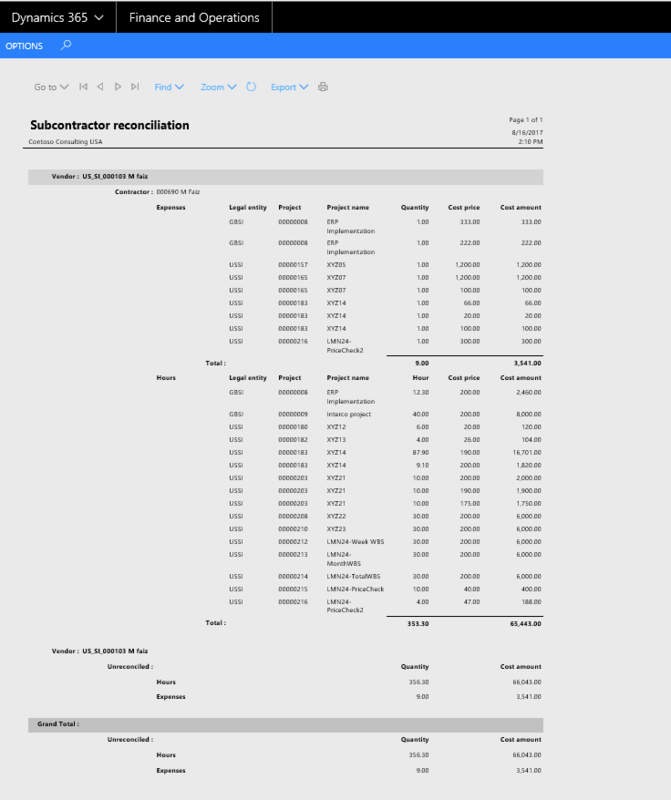 As of date: The as of date shows the transaction against the contractors and its optional. Vendor: Filter and display data based on the selected vendor and its optional. 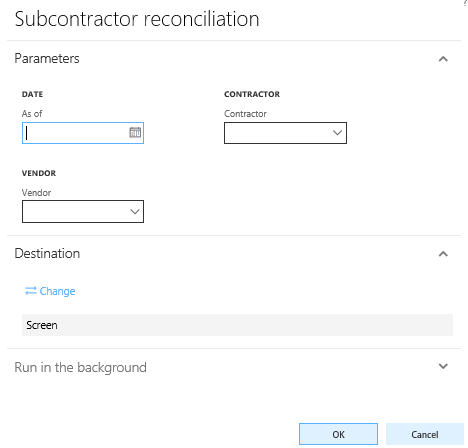 Contractor: Filter and display data based on the selected contractor and its optional.